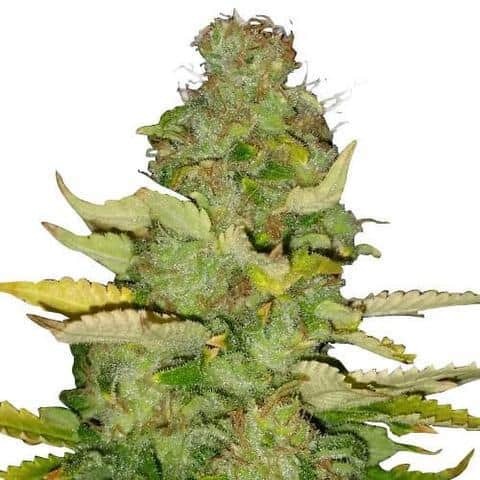 The Cheese strain is a feminized hybrid from the U.K. 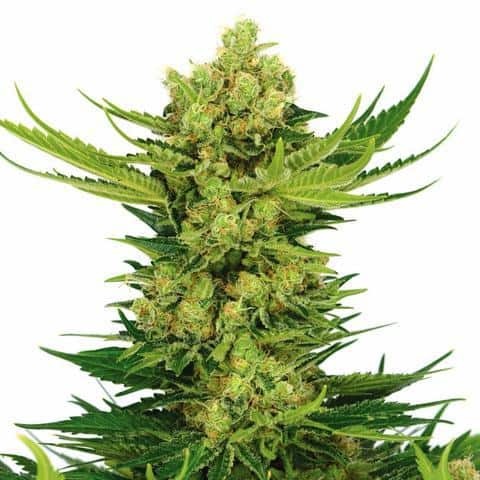 This indica-dominant cannabis delivers consistent potency and a distinct, musky flavor. As a direct descendant of the hybrid Skunk #1, its aroma is quite pungent. When cultivated properly, Cheese seeds yield high amounts of marijuana with average THC levels of 14% and quite some CBD. 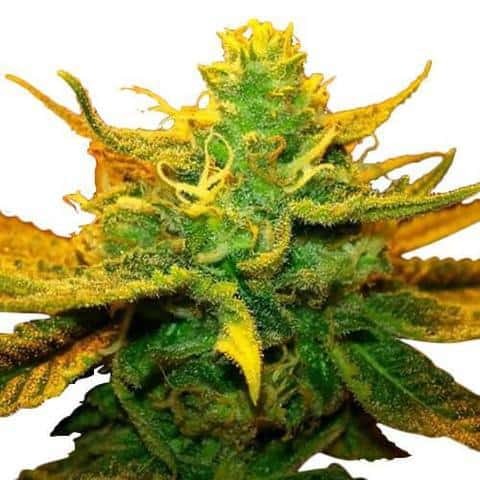 Cheese cannabis is very easy to grow because it’s so resistant to disease and other environmental conditions. This indica-dominant strain of cannabis can be grown indoors or outdoors. However, yields are higher when cultivated outdoors because this method gives the plants more room for growth. 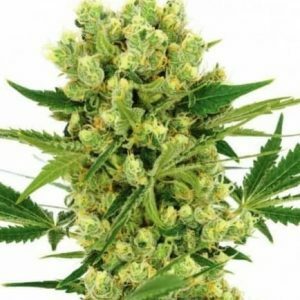 Cheese seeds are very easy to cultivate, even for beginner and amateur cannabis growers. This strain can be grown indoors or outdoors. Each bush will produce lots of thick buds and flower spots. According to expert growers, it cultivates best indoors. However, when grown outdoors, this bushy plant requires mild Mediterranean climates and an abundance of warmth and sunshine. When cultivated indoors, your Cheese cannabis plants will flower and be ready for harvesting within 9 to 10 weeks. The setting must be well-optimized to resemble warm, sunny conditions. Your plants will yield about 14 ounces of usable marijuana per square meter. Growing Cheese outdoors may cause more work, as you’ll have to carefully monitor weather and other environmental conditions. However, your yields will be higher when cultivating this marijuana strain outdoors. Expect to yield about 21 ounces of usable cannabis per plant, which will be ready for harvesting around mid-October. The Cheese marijuana strain is an indica-dominant hybrid. It was named Cheese because of the sharp, sour aroma it delivers. With Skunk #1 as its parent strain, the aroma is quite pungent and stands out from many others. This feminized strain was created in the U.K. Its origins date back to the late 80s. Since then, this strain has become popular worldwide because of it potent consistency and unique flavor. Eventually, Cheese was crossbred with Afghani indica by various seed breeders to create a strain of cannabis with high yields and increased trichome production. If you’re looking for an indica-dominant strain with a heavy knockout punch, Cheese is the strain for you. After only a few puffs, you’re left feeling calm and relaxed, making it a great stress-reliever. Soon, you’ll find yourself feeling all giggly inside. Your mood will be uplifted as you experience a wave of happiness come over you. Cheese users report having light euphoric feelings, making this an effective mood-elevator. You’ll experience feelings of calmness, along with feeling inspired and creative. Because it’s an indica-dominant cannabis strain, some report feeling slightly tired and lethargic. You may even find yourself stuck on the couch for a while. The Cheese strain of marijuana may leave you daydreaming. It will also lead to a major case of hunger, known to stoners as the munchies. So, if a loss of appetite or extreme nausea are issues for you, this strain will increase your appetite, allowing you to eat until your heart is content. Some users of Cheese report having adverse reactions to the strain. Because it’s so powerful, at first, smoking it can be slightly uncomfortable, leading to major coughing outbursts. Your throat may feel a bit itchy too. Dry mouth is a common side effect of Cheese, which you can combat by staying hydrated. You may also experience dry, itchy eyes. Although rare, some Cheese smokers become a bit dizzy when first hitting it. A mild headache may pop up out of nowhere. Consuming too much indica-dominant Cheese could lead to paranoia. Beginners and occasional marijuana smokers should consume this cannabis strain with caution. Cheese is a strain of cannabis that elevates the mood. This makes it a popular one for medical marijuana patients with high stress levels. If you have a high-pressure, fast-paced lifestyle that leaves you on edge at the end of the day, this strain will help you relax, while taking the stress away. That way, you’re able to sleep well, even if you suffer from insomnia. Many people prefer Cheese over prescription drugs for managing feelings of nervousness and removing negative thoughts from your mind. It’s very effective when it comes to helping you unwind and relax, so it helps with depression and anxiety as well. This strain regulates feelings of hopelessness. During the euphoric state, you’ll suddenly experience a flood of happy feelings. This makes it a very effective medication for those suffering from various mood disorders. This indica-dominant strain helps medical cannabis patients manage pain. With just a few puffs, you’ll find yourself floating on Cloud 9, while it soothes minor aches within your body. It also gives you the munchies. Because its CBD levels are fairly high, it offers some really beneficial pain management effects. Many physicians and medical cannabis dispensaries recommend the Cheese strain for patients going through cancer treatments. It helps those suffering from chemotherapy or radiation-induced nausea gain appetites so they can eat again. The scent of the Cheese marijuana strain is very extreme. Its strong odor is quite cheesy smelling, which is where it gets its name. This hard to hide odor comes with a whiff of earthy aromas, mixed with the smell of a specific type of cheddar cheese. You’ll also smell a little herbal sweetness, which is noticeable immediately upon lighting up. When smoking Cheese cannabis, the taste will also remind you of cheese a little bit. You’ll find that this indica tastes a bit buttery and cheesy. It also tastes sweet and creamy, with an underlying skunky flavor that lingers on your palette long after you’ve smoked it. If you have any type of appreciation for the taste of cheese, this is the marijuana strain for you.